(MENAFN - GetNews) The global airport autonomous tractor market is estimated to grow at a CAGR of 15.7% during the forecast period 2018-2026. Read more about the market here. Download latest market research report. Sheer Analytics and Insights Pvt. 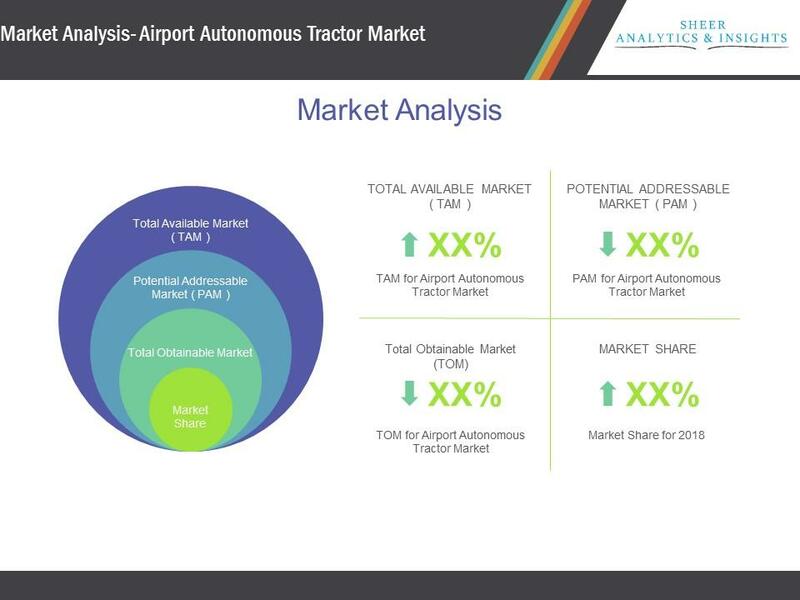 Ltd. have published a report on the global airport autonomous tractor market titled Global Airport Autonomous Tractor Market (By Component: Ultrasonic Sensors, LIDAR, Camera, GPS, and Others, By Type - Push Back Tractor, Baggage Handling Tractors and Tow Tractors, By Application - Luggage and Freight and By Regions) Global Industry Analysis, Size, Share, Growth, Trends and Forecast, 2018 2026. The market is estimated to grow at a CAGR of 15.7% during the forecast period 2018-2026. The report covers the forecast and analysis of the airport autonomous tractor on both regional as well as global level. According to Antoine Maguin, CEO, TLD., 'Many companies around the world are developing driverless vehicles for example, Tesla and Google. It's a very clear trend in the automotive business, but we see a very clear opportunity to develop a solution for use at airports, with a field-proven partner in EasyMile.